Contemporary Jazz Fusion featuring Steve Carr on saxophone and Alan Oldfield on keys accompanied by L.A.'s best musicians. 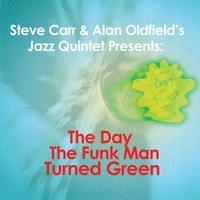 Saxophonist Steve Carr and Keyboardist Alan Oldfield spent years together doing session work on TV and Film in Los Angeles. Besides working for major studios they also composed and orchestrated numerous underscores for various Independent Features.